Brandon Haddad, Vice President of Edgeworth Integration, utilizes his over 17 years of experience in the security industry to design and implement state of the art security systems for Edgeworth’s clients in both public and private sectors. 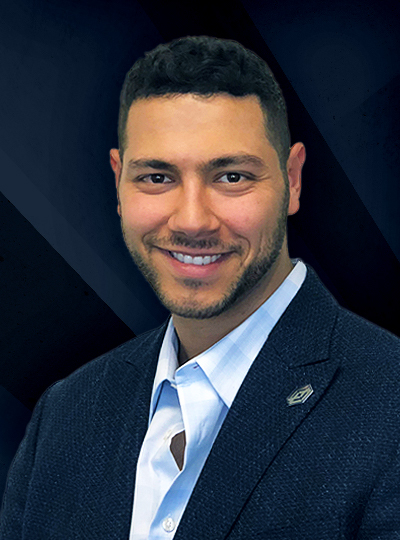 Before joining the Edgeworth team, Brandon was the co-owner of VAS Security Systems Inc. NorCal division and managed the San Francisco Bay Area and Silicon Valley branch. With a focus on commercial and industrial security systems, Brandon worked with clients from the federal government, air force bases, law enforcement agencies, city municipalities and school districts. He has worked closely with the NCRIC, Police Departments, US Marshals Service, and private sectors to design and develop solutions including analytic driven surveillance, LPR and gunshot detection for schools, city intersections, and public safety. As a licensed contractor and systems engineer, Brandon also designed and integrated systems for multi-acre housing projects, construction and foreign consulates including full surveillance, access control, intrusion, and remote guard solutions that all integrate seamlessly. He has developed and provided systems design and integration services for NCRIC (Northern California Regional Intelligence Agency) in a joint effort to secure and protect federal and city properties. NCRIC was created by the Northern California High Intensity Drug Trafficking Area (NC HIDTA) Executive Board in 2007, to improve our nation’s ability to detect, prevent, investigate, and respond to criminal and terrorist activity.